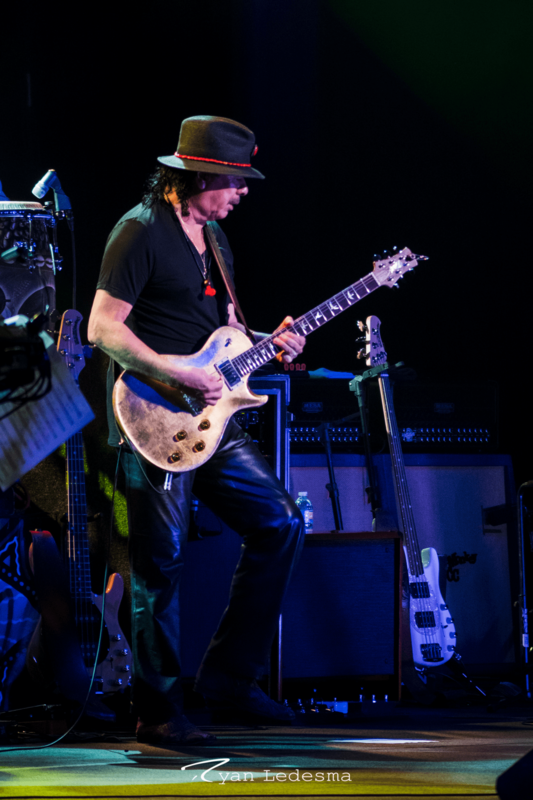 Santana played to a sold-out crowd Wednesday night, really playing the spectrum from old hits to new collaborations. 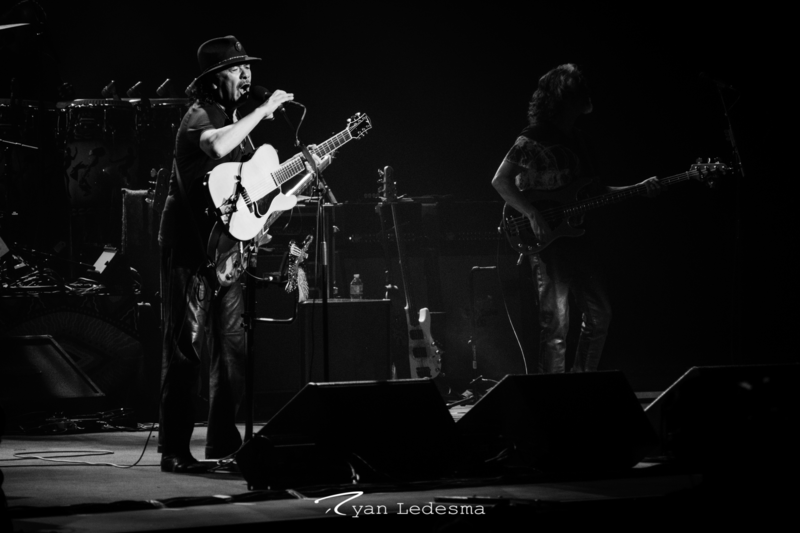 Early in the show the party was kicked into full gear with “Maria Maria” and “Corazon Espinado” from Santana’s 1999 album Supernatural. These songs had the crowd getting up on their feet and dancing, and the energy grew more and more as the show went on. After a couple newer hits, he took it way back with “Europa”, one of my personal favorites, and the song I most hoped would get the live treatment. While Santana may have lost some of his bounce-around-the-stage energy of his youth, he hasn’t lost the emotion he puts into his guitar, and he proved it with this song. About halfway through the show, Santana introduced a surprise guest, the Isley Brothers. The remaining Isley Brothers are Rock and Roll Hall of Fame Inductees from 1992 and make their home here in Saint Louis. They played a few songs in promotion of their upcoming collaboration album Power of Peace which consists of mostly covers. A few songs played from the new album were “Total Destruction to Your Mind”, and “What the World Needs Now is Love Sweet Love”. In addition to Ronnie Isley’s incredible soul-filled vocals, I was equally impressed by Ernie Isley’s guitar work, he outshone Santana for the few songs he was playing. In addition to the Isley Brothers, Santana’s wife, Cindy Blackman Santana (his band’s current drummer) came out from behind her drum set to sing “I Remember” off their upcoming album. 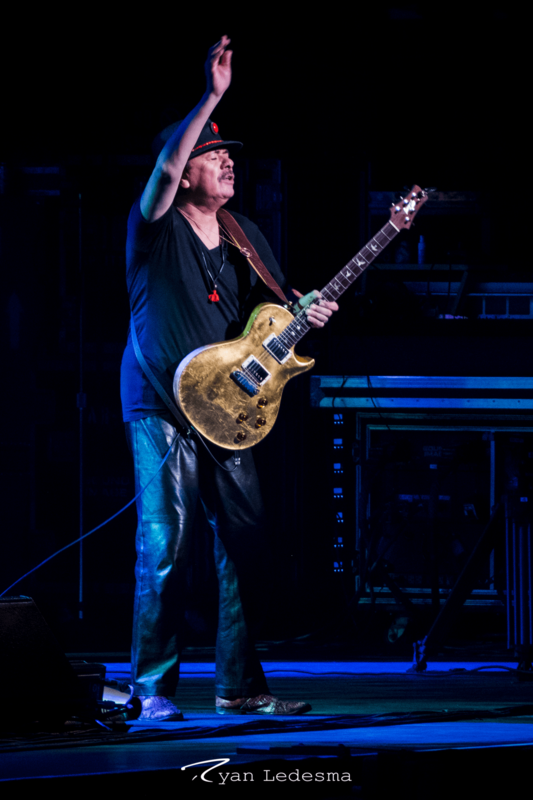 After that detour the stage went dark, Santana stepped up to the center of the stage, and with a single spotlight slowly laid down the first few notes to “Black Magic Woman” and the whole crowd erupted into applause and stood up to cheer and dance to the music. This was followed by “Oye Como Va”, only exciting the fans even more. 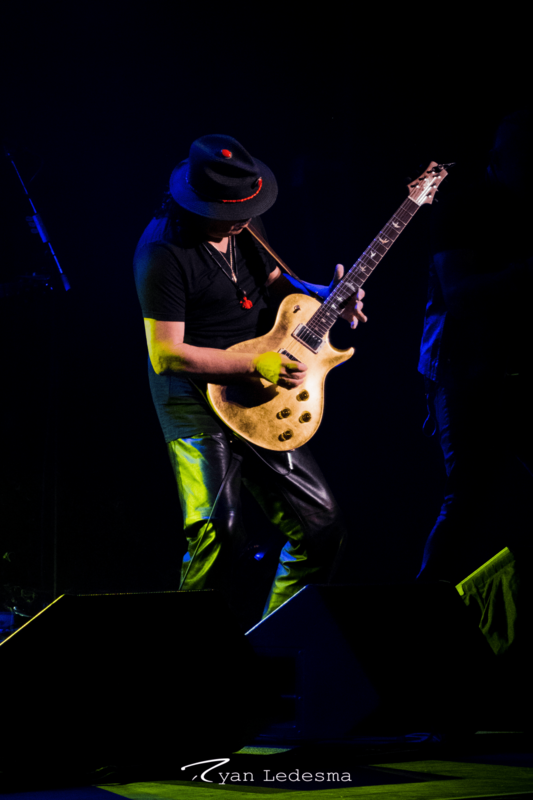 After a very short pause and exit from the stage, the band returned to play an encore including “Smooth” and “Soul Sacrifice”. But after a few songs it morphed into a seemingly never-ending jam session, marked by lengthy solos from all the band members (including a drum solo over 5 minutes), and loose bits from many different songs. While I appreciate a good jam session as much as the next guy, I felt my attention wandering as the show was closing out. There seemed to be little direction, and even seemed to lack and any signature Santana guitar work. I would have loved to see more of Santana jamming out in some extended solos from his classics. For the closing song the Isley Brothers came back out for “Love, Peace, Happiness”, and the whole band closed out the show strong.